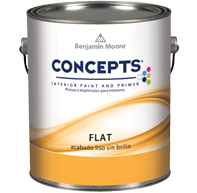 Benjamin Moore recently introduced a new line of low-cost interior paints called “Concepts.” Available in Flat, Eggshell and Semi-gloss finishes, the new line combines the superior performance of Moore’s Gennex colorant system with low cost. 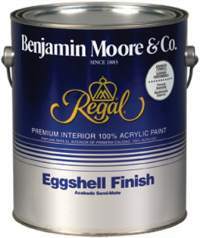 So, even if you’re not ready to spend $60-plus dollars per gallon on top-of-the-line paints like Aura, you can still get a quality Benjamin Moore paint job. Don’t run off to your local big-box store looking to save a few dollars on paint. Concepts blows away any comparably priced can of paint, hands down. Starting at $24.99/gallon.